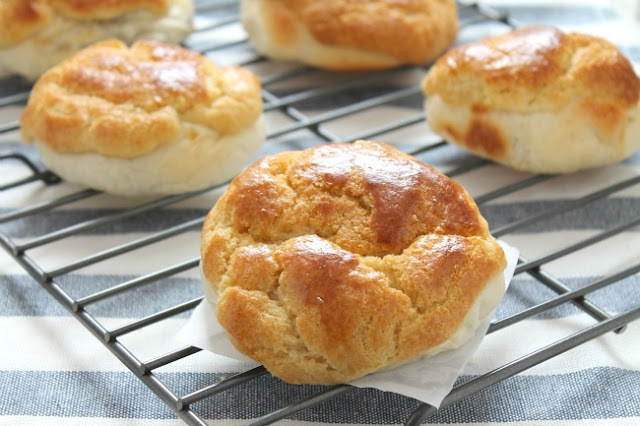 my bare cupboard: Pineapple char siu buns "
Are you just like me who think that the baked char siu buns they served at the Chinese resto is too measly a portion ? That you need to double your order just for that item alone ? Well , I was aiming for that size when I baked these buns - as those dainty baked char siu filled buns - two-bite ( okay , 3 or more ladylike bites ) tasty morsels are much more easier to fit in my square plate . Instead of small buns , I've got the super size version , much more like the size of the popular pineapple buns here . The hot weather sure did er didn't help ! Not dainty for sure but I'm not complaining ! Though the char siu filling needs more tweaking , not enough sauce for my taste . And even without the filling , the bread itself was so fluffy and soft , the topping flaky and crispy - and just simply delicious ! 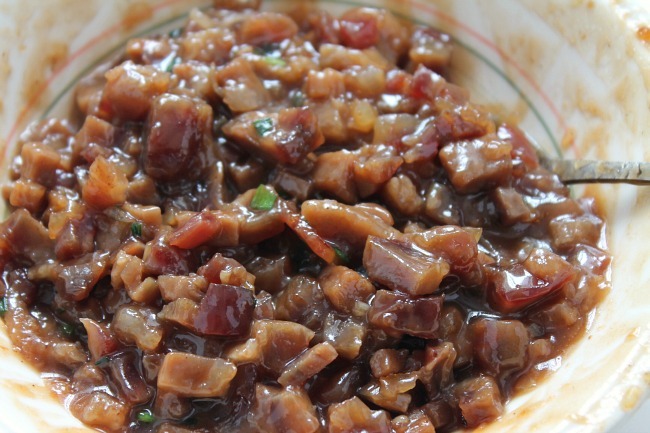 * Combine the char siu filling and mix well ; set aside . Heat oil , add in shallots , cook until softens a bit then add in the char siu , char siu sauce , light soy , brown sugar and hoisin sauce . Cook until char siu is heated through . Add in the tapioca mixture , stir until thickens , add the spring onions . Remove from heat , Let cool before using . * Combine all the dough ingredients and mix well . Knead until you form a cohesive dough and tip in into a clean work surface . 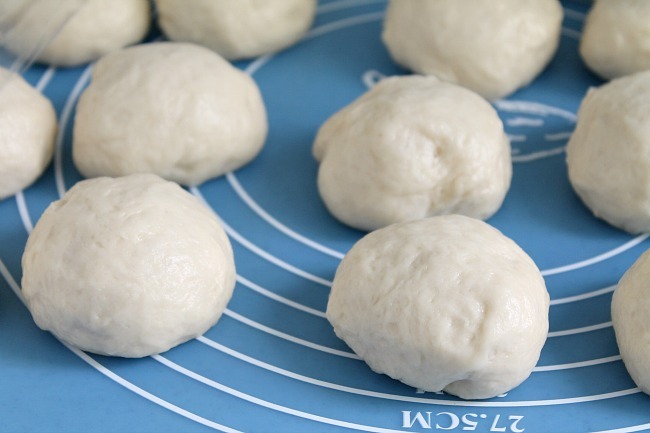 Throw the dough repeatedly on the surface until soft and elastic . Transfer in a lightly greased bowl and cover with a damp cloth and place in a warm area for 1 hour until it doubles in size . * Form the dough into a long tube shape ; divide into 20 equal parts . Roll into balls and let rest for 20 minutes . 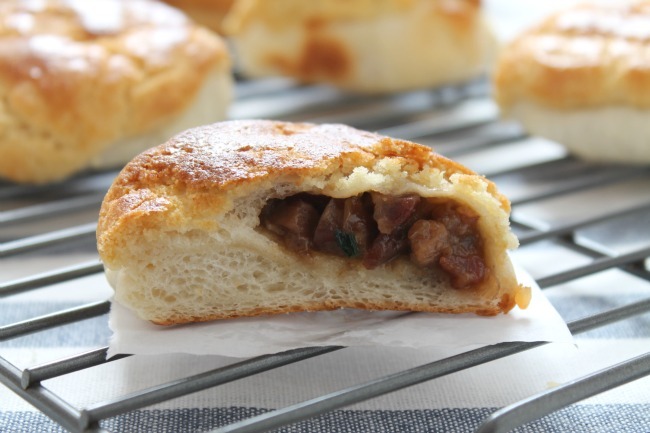 Wrap in char siu filling , put bun into the baking sheet seam side down , repeat with the rest . Let rest for another 20 minutes . * Meanwhile , preheat oven to 230°C . * Sift flour and milk powder in a bowl , make a well in the center and add remaining ingredients . Knead to form a dough and divide into 20 equal portions . 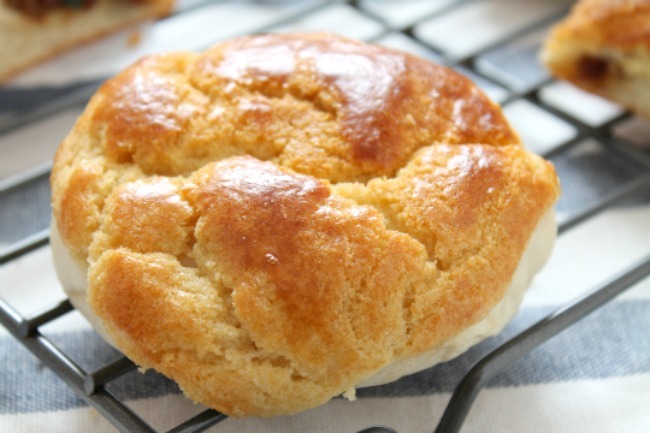 * With a rolling pin , roll a portion into a thin circle and place on top of the bun ; brush with beaten egg . Repeat with rest . * Bake buns for 8 minutes . I want the plain one Tiyay! I tried one here na may butter sa tunga, it's soooo yum yum!! ha! i pretty much learned how to cook because restaurant portions of ANYTHING were never enough. i've never had this kind of bun before, they look delicious! I love the crusty pineapple top! These polo buns look very delicious! I love the look of the topping, looks crusty, crumbly and delicious! A coincident I made char siu pau today for lunch! Oh, so this is so called "Po Lor Pau" right? I heard even the name with Po Lor/Pineapple, but the real one actually no pineapple in it. 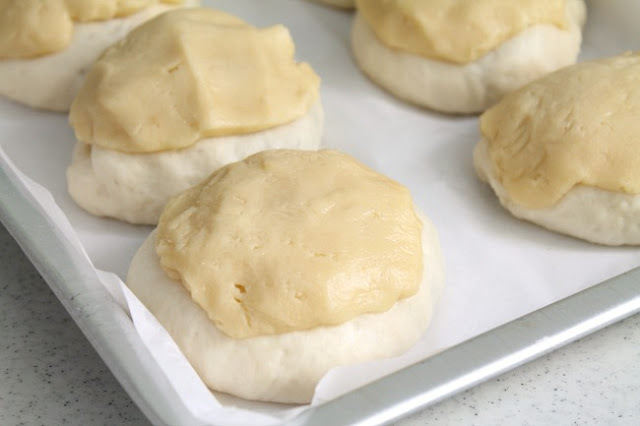 But I checking your recipe, there is pineapple added, so this is a real Po Lor Pau , hahahha..Actually your Po Lor Pau look very good, wish I can try this out soon. Oooooo looks nice! Big big size is good! Your pictures look so good, making me think if I can ever try this. But right now I can only wish If I can come over to you and have some. Anne, these char siu buns look so GOOD!And my..the po lor topping..so moreish! Good job Anne! 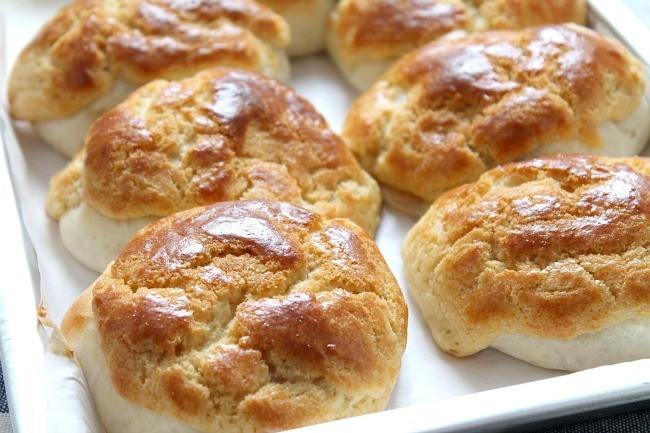 These are the "Po Lo" buns they sell in cantonese yum char restaurants? Can't tell the size from your photos... but I guess it would be difficult to make it that small?